DNA sequencing is one of the most important tools in medicine today. Used to determine the precise order of the four building blocks that make up a piece of DNA, the method is most well known for its role in mapping out the first human genome, completed in 2003. Beyond sequencing the human genome, DNA sequencing lies at the heart of many other medical applications, ranging from the diagnosis of diseases like cancer to monitoring the mutation of bacteria and their resistance to drugs like antibiotics. It is also critical in tailoring medical treatment according to each person's genetic profile, known as personalised medicine. Yet, despite its importance, relatively few people outside the scientific community know how DNA sequencing came into the world or how it came to be adopted for medical purposes. The development of DNA sequencing began in the 1940s when a British biochemist, Fred Sanger, took up the quest started by scientists in the late nineteenth century to work out the composition of proteins, molecules fundamental to every biological process in the body. Sanger was to become one of a small handful of scientists ever to be awarded a Nobel Prize twice (the others being Marie Curie, John Bardeen and Linus Pauling). The first, in 1958, was for determining the structure of insulin, which demonstrated for the first time that proteins were real chemicals with a defined sequence; the second, in 1980, was for his pioneering sequencing method for DNA, which laid the basis for the genomic revolution. Despite his achievements, Sanger's life has received relatively little popular attention and his achievements have largely been overshadowed by that of James Watson and Francis Crick's work on the double-helix of DNA, which has attracted much public interest. In part this can be attributed to Sanger's quiet and modest nature - he described himself as 'just a chap who messed about in his lab' and saw himself as merely one of "the backroom boys". Just how self-effacing Sanger was can be seen from the fact that in 1986 he turned down a knighthood, one of Britain's highest honours, not because he was a republican but because he did not want to be called 'Sir'. His modesty is captured by his statement in 1988: 'Unlike most of my scientific colleagues, I was not academically brilliant. I never won scholarships and would probably not have been able to attend Cambridge University if my parents had not been fairly rich; however, when it came to research where experiments were of paramount importance and early narrow specialization was helpful, I managed to hold my own even with the most academically outstanding.' (Sanger, 1988; Sanger, 2001a). Portrait of Fred Sanger. Credit: National Library of Medicine. This exhibition follows the life and work of Sanger from the many hours he spent as a child experimenting with crystals in his school's laboratory to his development of pioneering methods for sequencing proteins and then DNA. Using Sanger's laboratory notebooks and a collection of photos, this exhibition provides a glimpse both into his technical rigour and into his painstaking patience from early on. Throughout his working life Sanger dedicated himself to working at the bench. As he wrote, 'Of the three main activities involved in scientific research, thinking, talking, and doing, I much prefer the last and am probably best at it. I am all right at the thinking, but not much good at the talking. "Doing" for a scientist implies doing experiments, and I managed to work in the laboratory as my main occupation from 1940 … until I retired in 1983' (Sanger, 1988). Today when DNA sequencing is largely carried out automatically by machines it is humbling to see the painstaking and time-consuming process that Sanger and his team went through to sequence insuln and then DNA. As Sanger records in his notebooks, their experiments often led nowhere, forcing them back to the drawing board. The work was highly repetitive, and they rarely witnessed 'Eureka' moments. He himself pointed out that his career largely consisted of many 'small and gradual advances' with few memorable breakthroughs (Sanger, 1988). Looking back from today's perspective it is easy to believe DNA sequencing was the natural culmination for Sanger. Yet, as this exhibition shows, Sanger did not start with this as his goal. As he himself put it, 'It may seem now that this was a logical and planned progression, suggesting that I had from the beginning decided to devote myself to sequencing and that all my research had been directed to this. However, this was not really the case. I have never regarded sequencing as an end in itself, but as a step towards a greater understanding of living matter.' Overall, he much preferred to concentrate his efforts on 'the practical work itself than on its ultimate outcome.' As he reflected in 1996, 'I have rarely made extensive plans for my research but have been guided to each new experiment more by intrinsic interest and technical feasibility than as a result of any long-term aim. I must admit too that my choice has often depended on which experiment would be the most fun to do'. His career was, as he put it, 'a journey of exploration through unknown territory without a clear objective, rather than one with a fixed destination' (Sanger, 1988; Sanger, Dowding, 1996). Sanger's work cannot be separated from its wider historical context. When he began his research little was known about proteins and DNA, and it was the sequencing methods he developed that helped establish new understandings of the molecular structure of both proteins and DNA. His work provides a window into the early beginning of genomics. Founded on the basis of Sanger's sequencing techniques, this discipline aims to understand the structure and function of the entire DNA, or genome, of an organism, and the genetic basis of disease. One of the advantages Sanger had when he started working on insulin, the first protein to be sequenced, was the fact that he had very little competition from other researchers. Indeed, as he recalled, 'It seemed strange to me that hardly anyone else felt it sufficiently important to be working on.' Most of his scientist friends, by contrast, 'complained of having to compete with other labs' (Sanger, Dowding, 1996). Not having to compete with others suited his personality. As he put it, 'I like the idea of doing something that nobody else is doing rather than racing to be the first to complete a project' (Sanger, 1988). Sanger had a further advantage: as he had a permanent research appointment, funded by the British Medical Research Council, he was not under any great pressure to produce lots of papers. This meant that he 'could afford to attack problems that were more "way out" and longer term'. In fact, as he argued, because few could afford to adopt this approach he felt 'some obligation to do so' (Sanger, 1988). The award of his first Nobel Prize when he was just 40 years old also meant that he could continue working without any pressure to prove himself for the rest of his career. It released him from the the time-consuming process of running a department and the responsibility of teaching lots of students. Such freedom, Sanger, recognised was a major contributor to his development of DNA sequencing (Sanger, 1992). Sanger was always very careful about who he chose to work with. It was not sufficient for someone to be academically bright; his collaborators also had to be likeable and easy to get on with. 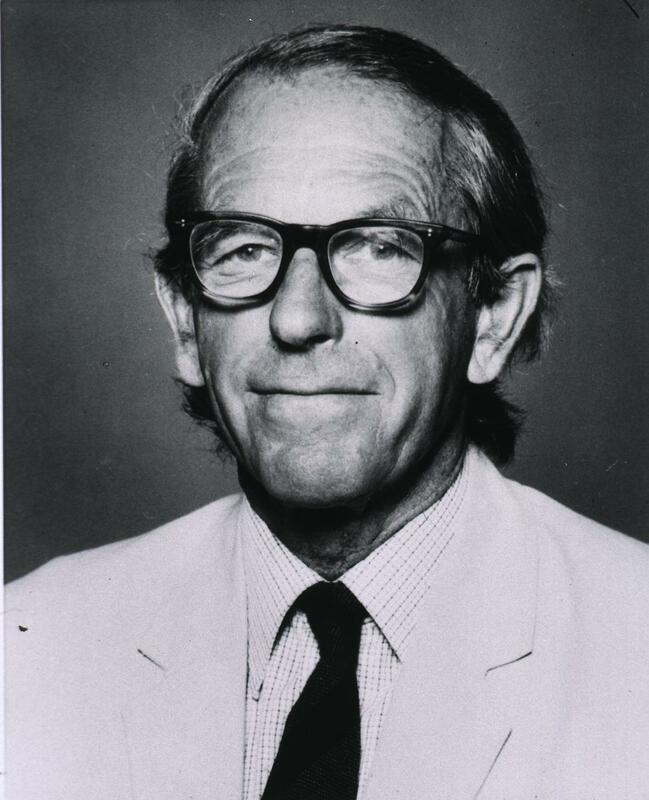 He never had a large group of people working with him at any one time, because he 'preferred to work at the bench myself rather than to plan experiments for others to do' (Sanger, 2001). Most of those who joined him were either doctoral students or post-doctoral fellows. He expected everyone around him to work as hard as he did, but also to take well-earned breaks. He also strongly discouraged any signs of rivalry in his group. Although Sanger worked with a number of individuals over the years, the two he relied on most were his personal assistants, Bart Barrell and Alan Coulson, who shared his temperament. Both started as technical assistants and went on to head their own groups. (Sanger, 1988). What is striking about Sanger's life and work is not only the painstaking steps that went into his development of his DNA sequencing technique, but also the fact that his technique was never patented. Throughout his life Sanger was keen to share his sequencing protocols and the computer software developed by his group. In part this reflected the scientific culture of the Laboratory of Molecular Biology at the time, but it also reflected Sanger's strong conviction that he and his team should share their work with others because they were publicly funded. When asked whether he would have wanted to patent his methods his reply was he never had an opportunity to do so and 'Anyway I wouldn't have wanted to because I would not have wanted to keep my work secret. I was paid by the MRC [which came from tax-payer's money] and ...that was my reward for the work I did. I don't think it would be fair to expect to keep my work secret. '(Sanger, 2001b). Sanger was subsequently saddened to see the competition that developed during the Human Genome Project and the action of one particular group to patent the sequencing for commercial gain. As he put it in 2001, 'The genome is a vital part of us all, probably the most vital, and information about it should be freely available and ... not the private property of anyone, however rich. No other part of the human body has ever been committed to such selfish conditions and it seems completely immoral to try to place restrictions on such a vital part of humanity.' He continued, 'The human genome sequence is of no commercial value in itself. It must be kept freely available so that many scientists of differing expertise can work on it to advance medicine. This would then be an appropriate stage at which to make commercial gains through established patenting practices' (Sanger, 2001; Garcia-Sancho, 2012). This exhibition traces the origins of Sanger's sequencing techniques and how they have been applied in medicine starting with the use of his protein sequencing methods for working out the genetic basis of sickle cell anaemia, through to the other more recent use of whole genomic sequencing to tackle infectious disease and the rise of antimicrobial resistance and cancer. As this exhibition makes clear, his sequencing techniques were already being adopted to unravel the genetic cause of disease well before the launch of the Human Genome Project in 1990 and are today an integral part of the diagnostic and therapeutic landscape.